The Falklands War lasted 74 days and claimed 907 casualties during this time. The British forces counted 255 among their dead, plus three female civilians from the Falklands. 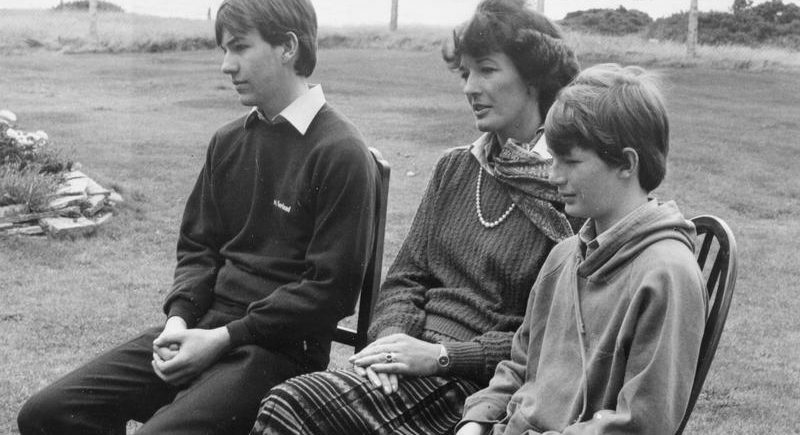 This image, according to the Imperial War Museum’s catalogue, shows Mrs Sarah Jones, the widow of Lieutenant Colonel “H” Jones VC, and her two sons as they are attending a memorial service at Port San Carlos. 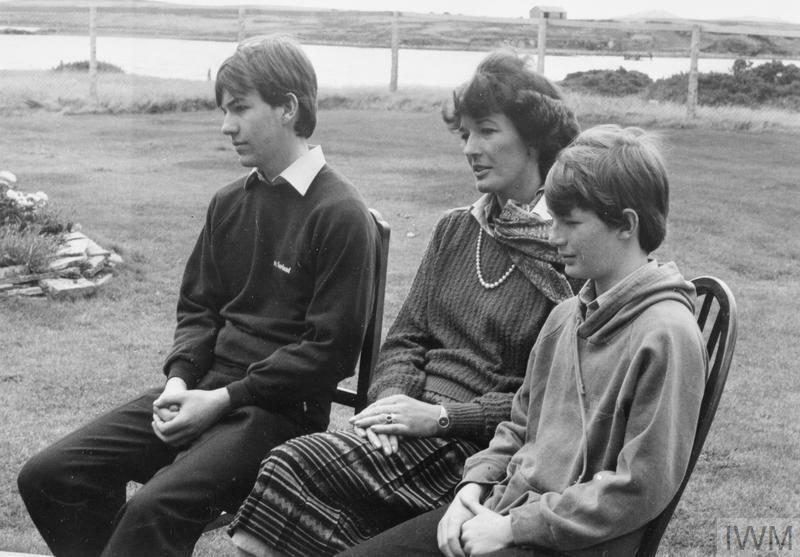 The photo is likely to be from April 1983, when a dedicated cemetery and memorial were opened at Port San Carlos, and when “more than 500 widows, children and parents of the 255 Britons killed in the Falklands War undertook a four-day tour of battlefields and war graves” (Imperial War Museum, “30 Photographs from the Falklands War”).